Last August, Motorola and Verizon unveiled the Moto Z3. An exclusive to Big Red, the modular phone will be Verizon's first to offer 5G connectivity through the 5G Moto Mod accessory. A visit to the FCC for certification (via The Verge) has brought out more details about the attachment that connects to the back of the Moto Z3 to make the phone 5G compatible. 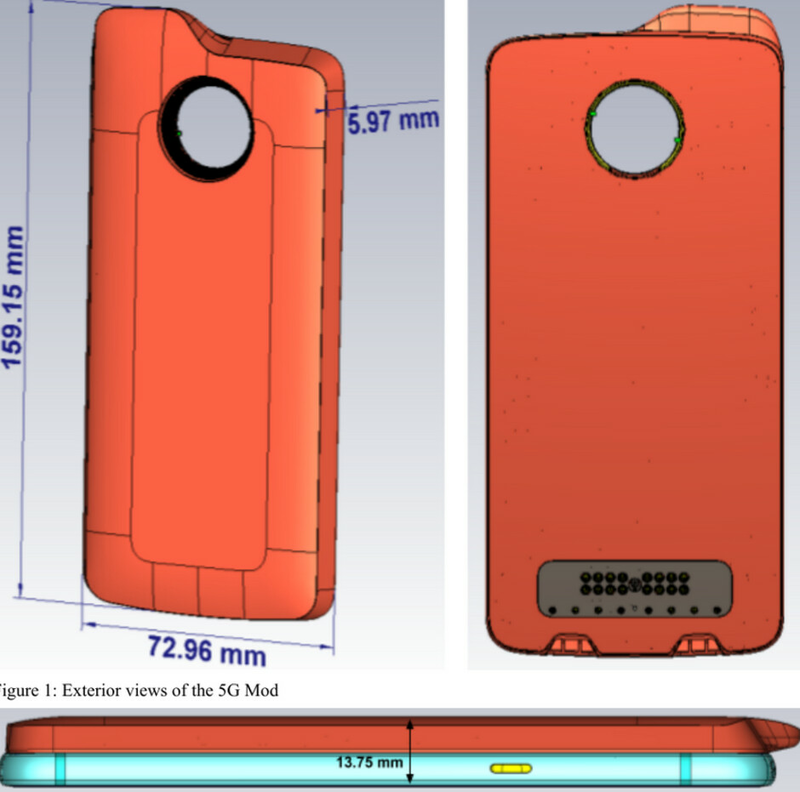 The FCC filing explains that the 5G Moto Mod will carry a Snapdragon 855 Mobile Platform, a Snapdragon X50 5G modem and an X24 LTE-Advanced modem. Once the accessory is connected to the phone, it takes over all of the modem functions of the handset. It also is equipped with a 2000mAh battery (remember how fast the battery drained on Verizon's first 4G LTE phone, the HTC ThunderBolt) and 10 antennas. Four of these are millimeter wave 5G antennas that will use a proximity sensor to turn off if a part of your body, like your fingers, gets too close to them. This is being done to protect you from radiation even though there really is no threat from the device. In addition, should your fingers interfere with any of the antennas, the 5G Moto Mod will use the remaining antenna receiving the strongest signal. Another interesting passage from the filing notes that the 5G Moto Mod "functions only when it is snapped onto a 5G Mod compatible device, such as the Moto Z3 Pro." Since there is no such device by that name, perhaps we should expect to see a new Moto Z flagship unveiled soon. And there is one last thing that you should know. 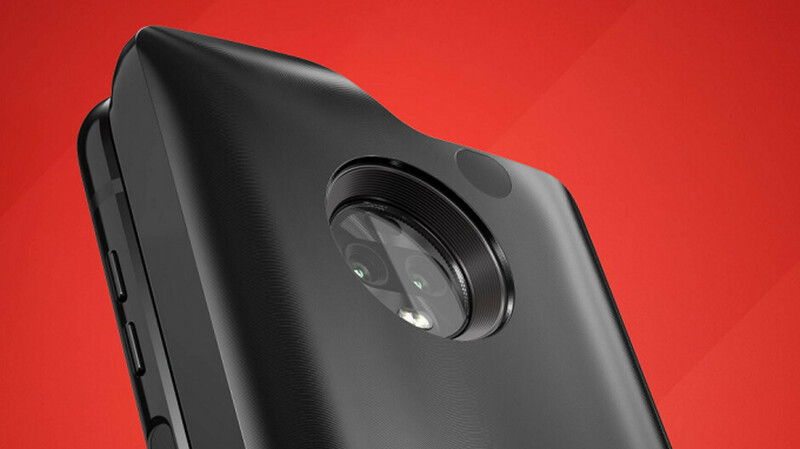 The technology needed to make the 5G Moto Mod work requires the accessory to be 7mm at its thickest point. Considering that without the Moto Mod, the Moto Z3 measures 6.75mm thick, you are essentially doubling the girth of the phone in order to convert it into a 5G compatible device. This is just laughable. In order to get 5G wireless on a phone released last year (Moto Z3), you're gonna have to slap a massive mod on the back, when phones announced/released later this month will have 5G integrated in a normal smartphone chassis. Additionally, the mod itself has a Snapdragon 855 just for the modem chipset! I can't imagine how much that mod is gonna cost...Plus it would be super frustrating for me to have a Snapdragon 835 in my phone (Moto Z3) and then have an 855 right next door, but it was only being used as a fancy modem. Such a dumb idea and execution by Moto! hmm... not shocking there was a slight catch. at least its not that bad of a catch. but how much is that slight inconvenience going to cost Z3 users? Antenna sticking out of the phone? No thank you.